Do you remember the films “The Flintstones” starring John Goodman or “The Santa Clause” starring Tim Allen? How about “I Love Trouble” with Julia Roberts or “The Shadow” with Alec Baldwin? Well, they all came out in 1994 and they all made more money than a certain “The Shawshank Redemption”. It came in at #51 that year compared to Santa Clause at #4, Flintstones at #5, The Shadow at #43, I love Trouble at #44 . 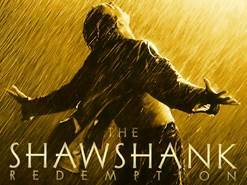 Despite Shawshank’s paltry box office, time has been kind to the film as it is now rated as one of the best movies of all-time. In fact, IMDb rates it as the best movies of all-time ahead of “The Godfather” parts 1 and 2 and “The Dark Knight”. What I love about this story is that it shows there are different types of successes: an early win followed by obscurity or a slow-start followed by enduring appeal. I know which type I’d prefer. Focus. People who are thinking about things other than making the best product never make the best product. Execution not ideas. There millions of notebooks packed with ideas floating out there in the digital ether or languishing on dusty shelves. The difference between a great work and an idea for a great work is all the sweat, time and effort, and agony that go into engaging that idea and turning it into something real. Everyone will stop you: Industries are viscous because their ranks are filled not just with those great creators who are actually doing this hard work, but with legions more who will do literally anything to avoid the work while maintaining their positions (or illusions) of power. Don’t get caught up with the latest fad: Who was rushed? Most the people who started “businesses” right before the first dot-come bust or apps for Myspace pages. Or Groupon. Or QR codes. At the time, these ideas seemed irresistibly urgent. The media was churning out stories. Avoid them there’s too much competition and the hype obscures whether there is realistic long-term potential. Better to play the long game. It will be hard saying “no” when everyone wants to say “yes”, but say “no”. Start and ideas will come. Insights rarely occur fully baked. The best we can do is sit down create something, anything, and let the process organically unfold. Tolerating ambiguity, frustrations, and changes in the grand plan and being open to new experiences are essential to creative work. Indeed, they are what make creativity work. You don’t need to be a genius to make genius. You just need to have small moments of brilliance and edit out the boring stuff. Focusing on smaller, progressive parts of the work also eliminates the tendency to sit back and dream indefinitely. Planning is important, but it’s seductive to get lost in that planning. Refine, refine, refine. A master is painstakingly obsessed with the details. Spend three times longer revising the work than you think you need. It may be the editing and refining of a work may take longer than the initially flurry of creation – it could be the last mile takes longer than all the others put together. Know your audience. An audience isn’t a target that you happen to bump into; instead it must be explicitly scoped and sighted in. It must be chosen. Instead of doing this, many creators want to be for everyone and as a result end up being for no one. Be clear what you are doing. For any project, you must know what you are doing and what you are not doing. You must also know who you are doing it for – and who you are not doing it for to be able to say: THIS and for THESE PEOPLE? Who is this for? AND What does this do? Does it have a purpose? Does it add value to the world? Be the only one. Lasting work – make sure you are pursuing the best of your ideas and they are the ideas that only you can have (otherwise it is a commodity not a classic). Try to be only one doing something. – “only” is better than best. Many people set to produce something that, if they were really honest with themselves is only marginally better or different from what already exists. Disrupt. Ask yourselves – what scared cows am I slaying? What dominant institution am I displacing? What groups am I disrupting? What people am I upsetting? The best work divides the audience. Buck stops with you. The first wake-up call for every aspiring perennial seller must be that there is no publisher, angle investors, producer who can magically handle all the stuff you don’t want to handle. Perennial sellers see every part of the process post-creation as their responsibility. Many creators want to be just the creator or the “idea guy” – we like it, because we’re afraid. We’re afraid of taking full responsibility for everything that comes next. Understand marketing. Marketing is anything that gets or keeps an audience. If you don’t see any sales people, you are the salesperson. Not everyone has the dedication to make it and to make it work. Marketing is an opportunity for you to distinguish yourself. – beat other talented folk too lazy it holds them back. People are drowning with new stuff. More than 4 hundred hours of content is uploaded to YouTube every minute. Every year, more than 6000 start-ups apply to Y Combinator. Ten thousand people get advanced degrees in drama. More than 125,000 people graduate with MBAs each year and more than 300,0000 books are published in the US. Nobody has a reason or the time to give you the star treatment. At a basic level, if you’re amazing in every facet, you’re replaceable. To publishers, studios, investors and customers alike. Word of mouth. Start by acknowledging nobody cares what I have made (they don’t know what it is!). People are busy. They have no idea why they should care about this thing. But they do care their friends recommend – word of mouth matters most. Can you sell to your friend? Find one person who trusts you and sell him a copy. Does he love it? Is he excited about it? Excited enough to tell ten friends, because it helps them, not because it helps you? Tribes grow when people recruit people. Your customers and fans are everything. Too many creators are distracted by critics, prizes and media attention. They forget their audience, customers and fans. Only reason to turn up your nose to bigger audience is fear. In the end, one thousand true fans will buy anything you produce. You can make a living from that.